Shall I compare thee.. – Where Is My Teaspoon? Busy busy busy and getting absolutely nothing done! I didn’t get a chance to bake at all this week but wanted to share my attempt at making Fig Rolls at home. Did you know that Fig Rolls are actually dried figs wrapped in pastry? Most people think it is biscuit but it’s not. If you like the flavour of figs, this is a nice recipe to try but don’t expect them to taste or look like the packaged ones. Tip your figs into a saucepan followed with the vanilla, orange juice and rest of the sugar.Pour in enough water to just cover the figs and bring to the boil on the hob. It should smell really nice but will look absolutely disgusting – don’t worry. Once it boils, bring it down to simmer for about 5 minutes. You should be able to break up all the figs with a wooden spoon and mash it until a fig paste. If you have a food processor, you could use this to blend it either. Be careful though, you don’t want it to end up as a runny jam. Now preheat your oven to 190 degrees and line a baking tray. Once your pastry has had time to rest in the fridge, take it out and divide it in two. 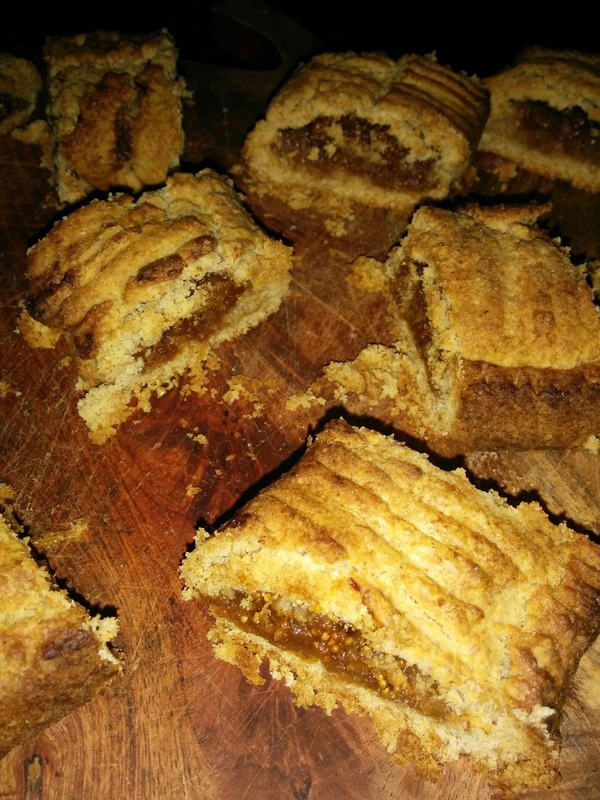 Roll each pastry half into a long rectangle and spoon your fig mix vertically down the pastry. Wrap the pastry around the figs using water to bind the edges. Place on a baking tray and bake in the oven for about 15 to 20 minutes. Be gentle with them, the pastry is quite dry and can break easily. Leave them to cool sitting on the baking tray for a few minutes before cutting up into small bite-sized rectangles.These are really lovely served warm with a glass of milk or cold with a hot cup of coffee or tea. These would be a nice bake for a lazy Sunday afternoon. I’m really looking forward to the weekend, could definitely do with an extra hour or five in bed. This week has actually gone pretty quickly, can’t believe tomorrow is Friday already. I have a mountain of study/coursework to get through over this weekend so really need to get something finished tomorrow. I’m in the middle of an awful data project of work which is just never ending. Praying I’ll get something, anything done tomorrow and get it off my to do list. I need a week off to just tidy my bedroom at this stage. Wardrobe is empty and everything is thrown on the floor, not very grown up of me!